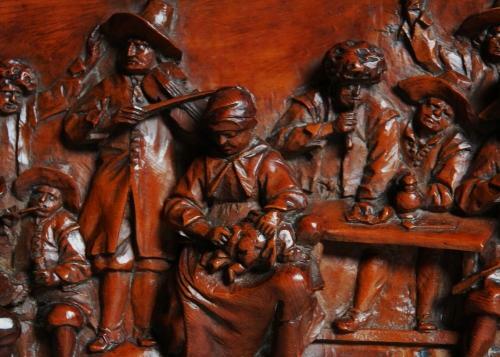 A mid 19thc Flemish carved fruitwood tryptic depicting traditional tavern scenes of fine quality, signed 'AS'. Each of the three panels have been finely carved with various figures and each panel is signed 'AS'. The frame which is in beech had a poor patina, so has been painted to give the piece a more contemporary look.